For their responses to the events of May 23 last year, Santa Barbara Co. Sheriff’s Department (SBCSO) deputies and UCSB Police Department (UCPD) officers were commended at the 46th annual H. Thomas Guerry Awards Ceremony in the Santa Barbara County Administration Building Wednesday afternoon. Five SBCSO deputies and three UCPD officers were awarded the H. Thomas Guerry Award for valor at the ceremony and several other local law enforcement officials were also celebrated for superior performance. 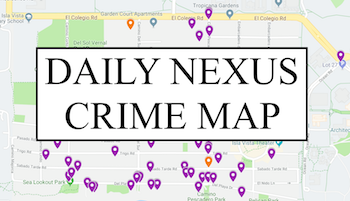 The prestigious award is named after former Santa Barbara police detective H. Thomas Guerry, who was shot and killed in 1970 by two suspects attempting to rob a bar downtown. UCPD Corporal Gregory Pierce said despite the unfortunate circumstances, he is honored to attend the ceremony and hopes to bridge an understanding between the community and the police. UCPD sergeant Dan Wilson said community members should take preventative measures and reach out to the police if they have mental health concerns about someone. According to Pierce, events such as Pizza with Police, Coffee with Cops and UCSB residence hall programs are a good start to communicating with residents and students. Wilson said Pizza with Police is important because it “allows [the police] to be human” and allows the community feel more relaxed around cops. According to UCPD Corporal Bradley Prows, open communication must be ensured in I.V. because the police exist to serve the public. Prows said Chancellor Henry T. Yang is bringing in officers from UCLA, UC Irvine and UC Riverside every weekend to maintain safety on campus and in I.V. According to Prows, the argument that there is too much police presence in I.V. has no basis, especially given the string of recent robberies this past week. Wilson said he approves of the university’s steps in taking “a bigger interest in the community” by providing alternative events to popular I.V. festivities such as concerts and fairs. 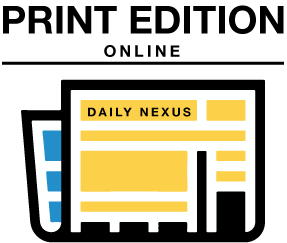 A version of this story appeared in the May 7, 2015 issue of the Daily Nexus.